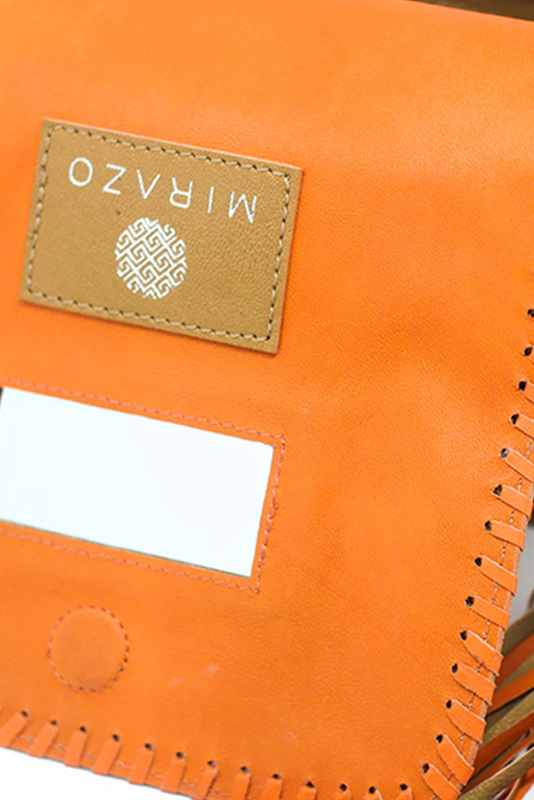 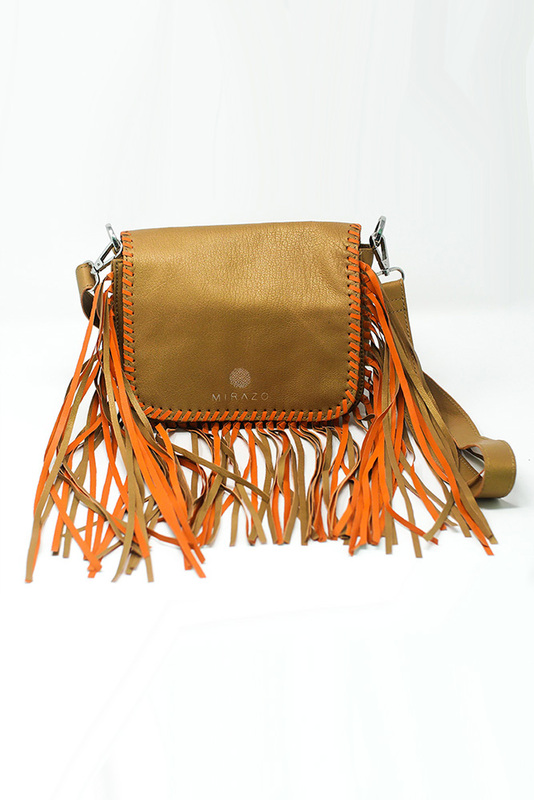 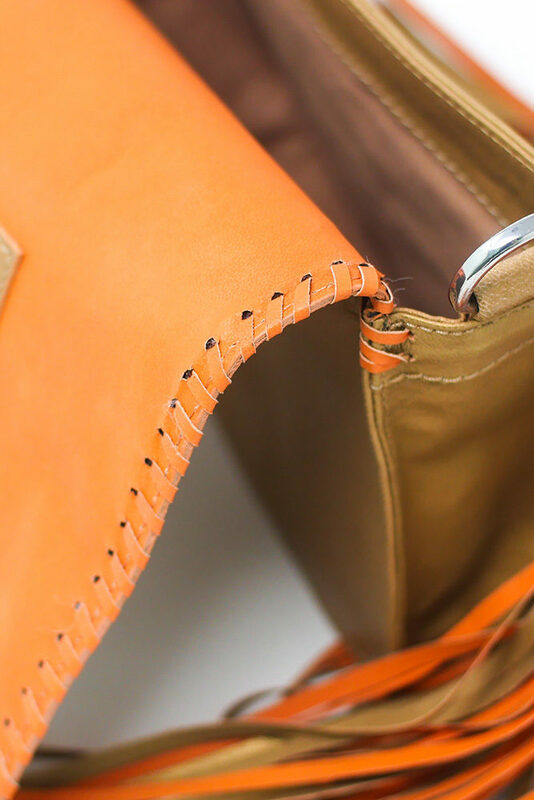 The Mirazo Crossbody bag is a goat leather bag with suede leather lining that features fringe edge and whipstitch trim. 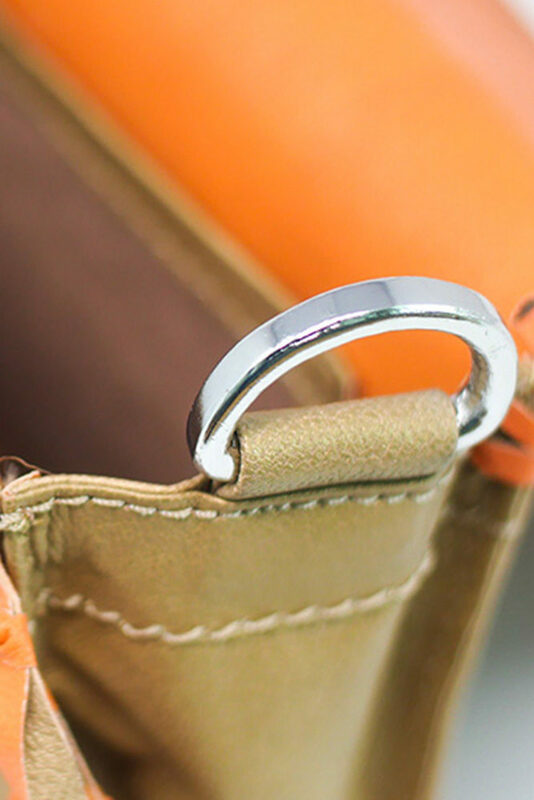 Soft and light, it comes in 3 different colors. 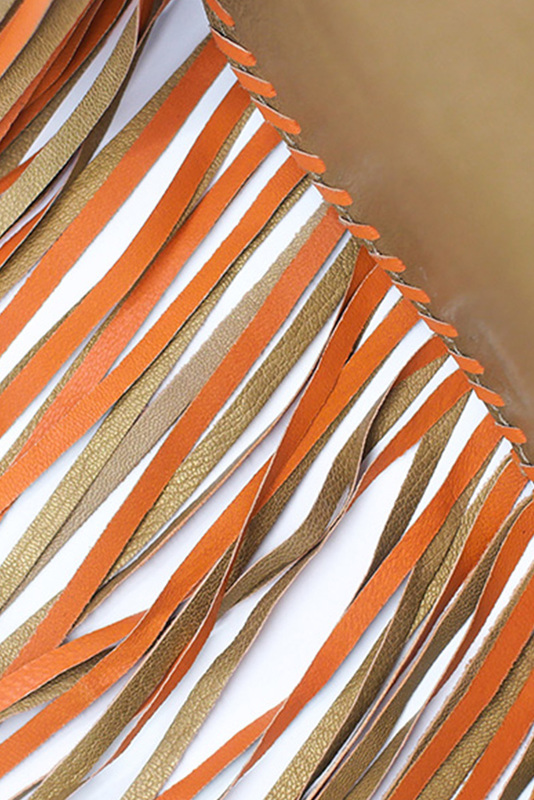 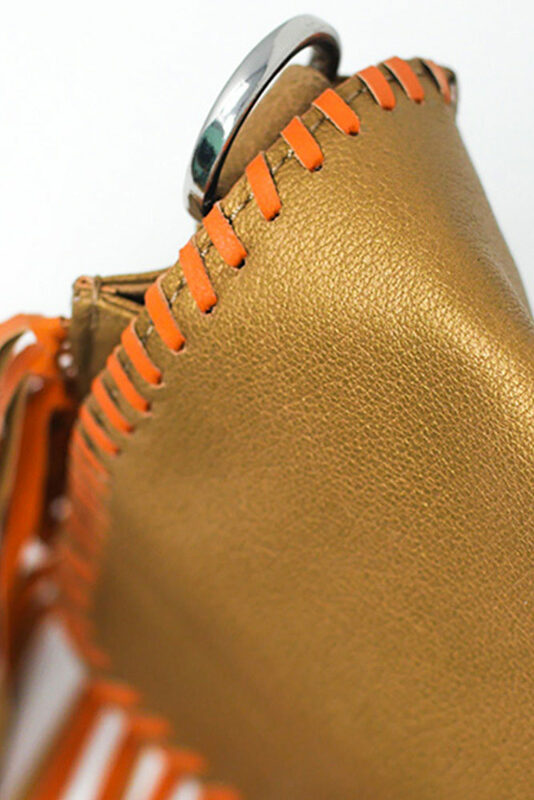 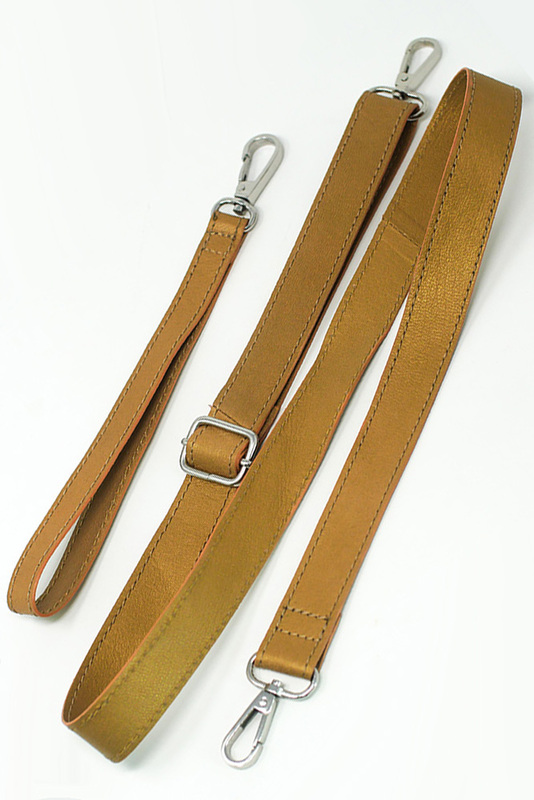 This one is camel (exterior+ one side of the fringes) & orange (lining+ the other side of the fringes).